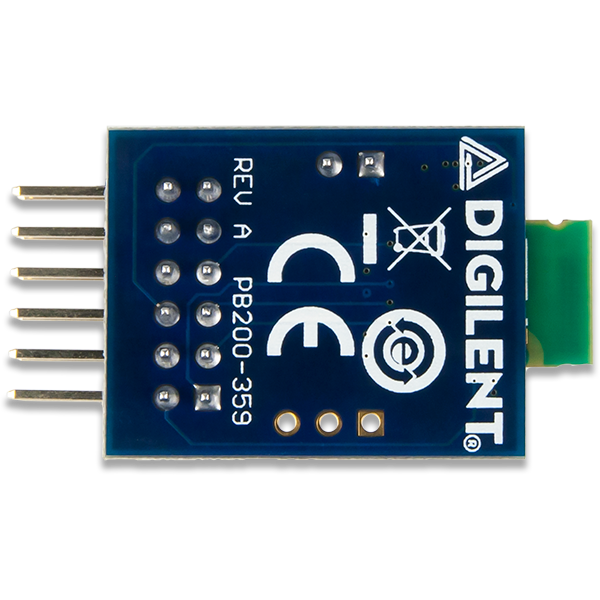 The Digilent Pmod BLE (Revision A) is a powerful peripheral module meant for use with any UART enabled development board. 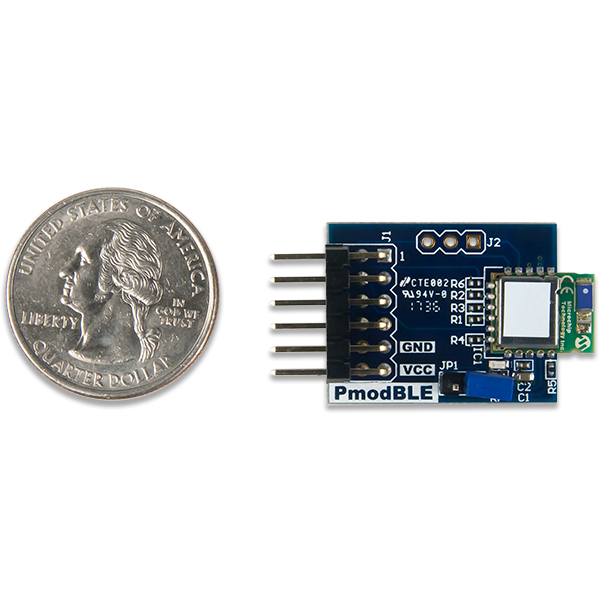 This Pmod employs the Roving Networks RN4870 to create a fully integrated Bluetooth Low Energy interface. 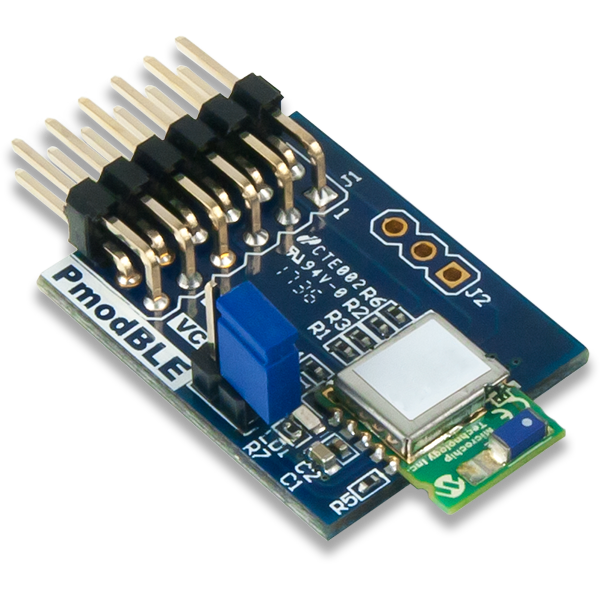 This chip features an onboard Bluetooth stack that makes connecting and communicating with any Bluetooth 4.0+ device possible through simple UART commands. The RN4870 also features four built in GATT services: Device Information, Airpatch, BeaconThings, and UART Transparent data streaming. It also allows up to five custom public services and up to 4 custom private services, each allowing up to eight custom characteristics. 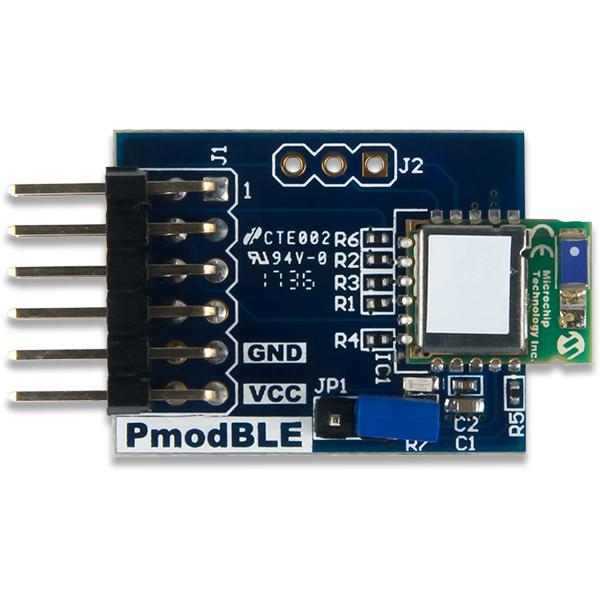 The PmodBLE is a cheap, versatile, low energy addition to the wireless Pmod library.